With established roots in the Pacific North West, the 2018 Bonfire outerwear collection focuses on delivering high function technical garments with a refined yet playful aesthetic that is not found in other brands. Mixing classic silhouettes with tech features and performance fabrics creates a highly functional garment while maintaining a fashionable style that can translate from snow to street. Technical functionality, intuitive accessories and features and the tradition of rugged outdoors that was born in the PNW all influence the outerwear that Bonfire creates. Pulling inspiration from nature, the colors and patterns around us; rich tones and structured textures- we rely on the elements to influence us. The TERRA 3-IN-1 STRETCH JACKET – A 3-In-1 stretch shell with removable snap-in stretch fleece liner. Truly for all conditions, the Terra 3-In-1 Stretch Jacket combines a 2-way stretch 30k Tufftech shell with a removable stretch fleece liner (that’s just as good being worn on its own outside of the jacket). The liner integrates to the shell in a way that allows for full use of waist gaiter, combining to make a truly comfortable and versatile jacket. Conditions change every day, nowhere more so it seems than in the PNW of the United States. Because of this, we wanted to create a jacket that would allow you to be ready for whatever nature threw at you, day after day. 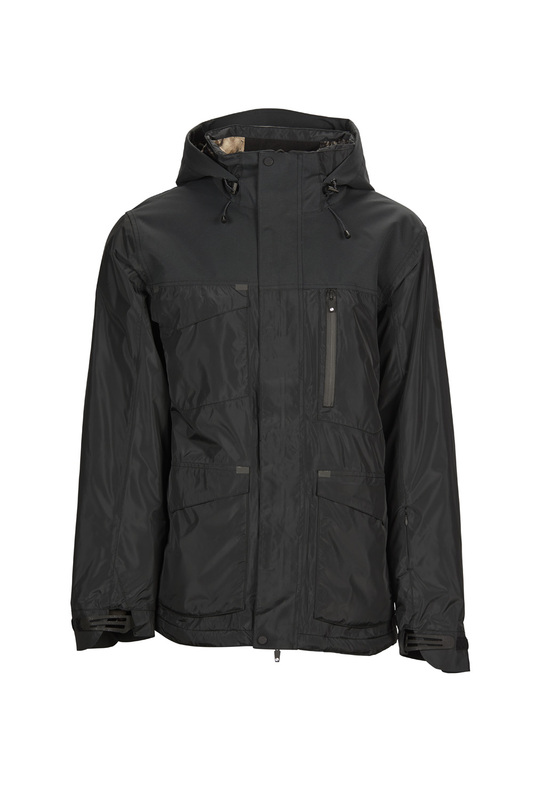 The ASPECT 3L JACKET – A 3-layer shell designed to move, the Aspect is all tech and all action. 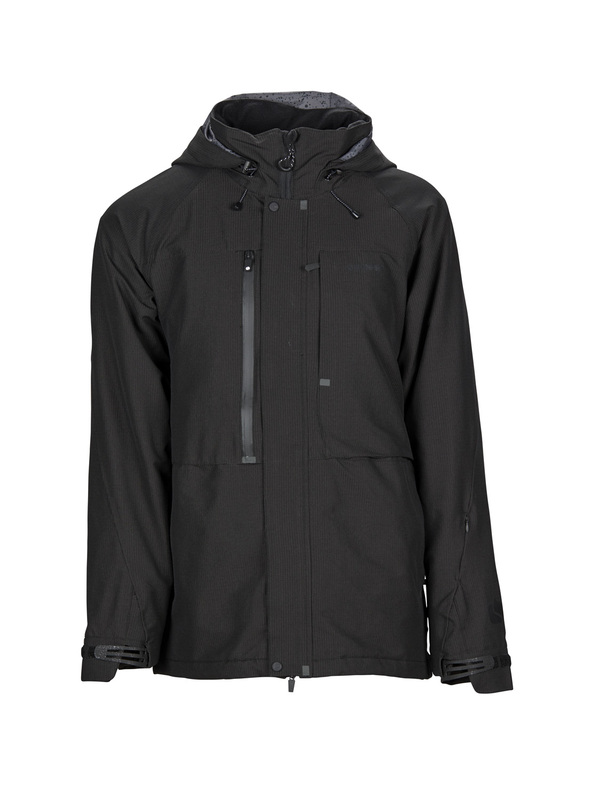 Crafted with our top-performing Tufftech Flex-Mobility stretch fabric and Strata Flow front to back venting, this jacket provides unrestricted motion, all while keeping you dry outside and in. With 3-layer 2-way stretch Tufftech fabric, it hits the peak of performance. 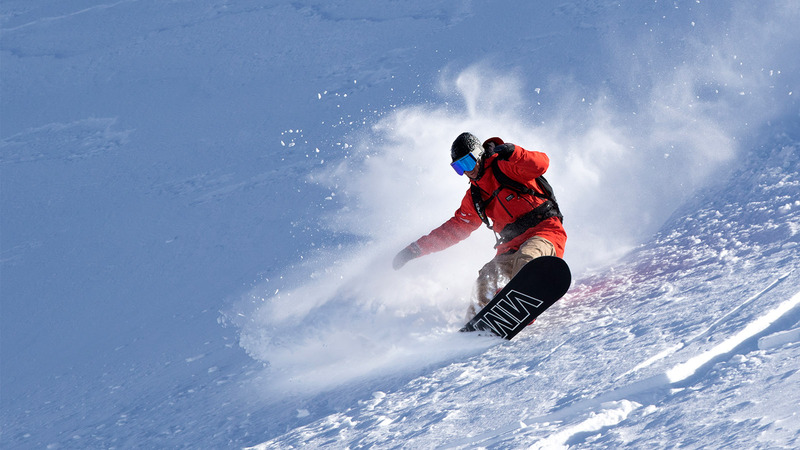 The durable, stretching fabric won’t tear or snag when hiking through trees and the 3-layer fabric keeps moisture out when encountering weather, with the Strata Flow Venting system allowing the rider to cool down faster and more efficiently than any other venting system in a snowboard jacket. 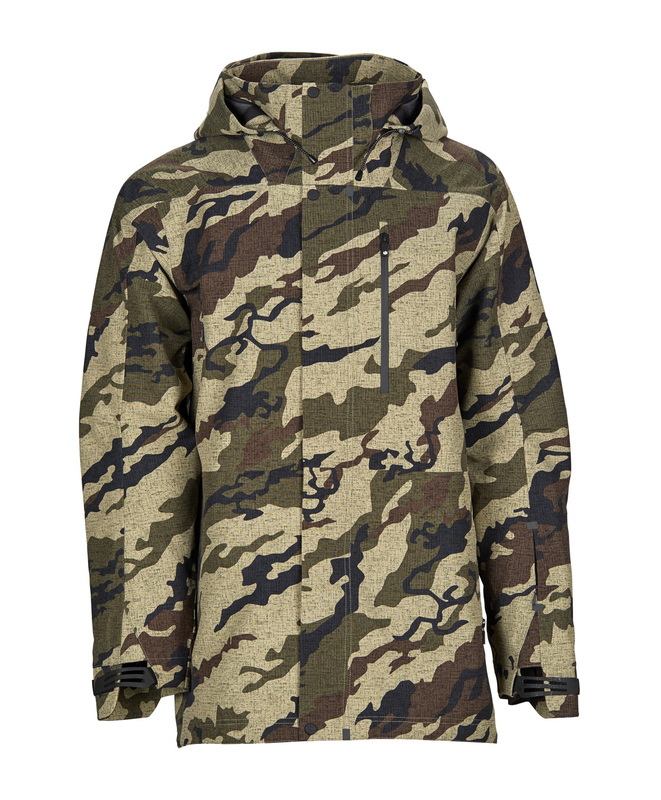 The Aspect Jacket provides the truly committed snowboarder with everything they expect from a jacket that truly has it’s back. The ENGINE JACKET – If heat is what you’re looking for, the technical benefits of the Thermore insulation in the Engine Jacket are the answer. Utilizing Thermore Thermal Booster Insulation, the Engine features our highest level of insulation—Thermite® Thermal Booster at a whopping 120gm—ensuring your flame won’t go out before the day is done. In addition to being super warm, it comes equipped with 20k waterproofing and the Bonfire Standard fully taped seams. The Engine Jacket was made for winter. Bonfire is committed to providing the highest level of support to our wholesale partners. We don’t compete with them for sales, instead providing them with the best chance to sell the product we are proud to have produced. Bonfire supports online and instore sales by our retailers equally and goes above and beyond to support them however possible. While market pricing seems to increase slightly from season to season, Bonfire has worked to maintain its price points across the range. With a reputation for creating technically sound and high quality products, Bonfire hasn’t chased aggressive opening price points, but has focused instead on building the best possible gear for every rider, from beginner to pro. Our modified fits are driven by constant innovation and functional ease-of-use for increased performance in all conditions. Last year we introduced our Ergo fit, this year we capitalized on it. For jackets, we have the Ergo fit which is a purposeful, body-conscious fit for maximum performance-based mobility. Then we have the Ergo Long Fit, which is a longer version of our Ergo, sitting at the top of the thigh in length. For pants, we have the Ergo fit and then we also have a Tailored fit; a slim, straight-leg pant fit, matching street feels with mountain performance. Each of these fits and compliments body movement while offering the function and style Bonfire has become known for. For this season, Bonfire is introducing a New Industry Standard. Picking out the perfect outerwear can be difficult, we want to put people’s minds at ease when they buy a piece from Bonfire Outerwear. Every piece of Bonfire Outerwear now has these three banner features within it- a minimum 15k Waterproofing, 100% Fully Taped Seams and our Bonfire Lifetime Warranty. The only thing that should be limiting a rider is themselves, they don’t need to worry about their outerwear holding them back. We’re really excited to include TuffTech Flex-Mobility fabric in our outerwear. This fabric is extremely durable, while also being refreshingly flexible. Made up of a durable material that’s woven with Cordura fibers, it has a comfortable stretch feel when on, and you know it’s going to last long- this fabric won’t fall apart so easy. In addition to the TuffTech Flex-Mobility fabric, we also bring in Transition Flex-Mobility fabric. This fabric has an absolutely comfortable, total performance flex. It’s so stretchy, your outerwear won’t feel like outerwear. Once you put this on, you’re not going to want to wear anything else ever. Our insulation has taken a step up, with our jacket now being equipped with Thermore Classic and Thermore Thermal Booster Insulation. Working with Thermore Classic insulation allows us to create pieces that provide exceptional warmth without becoming unnecessarily bulky. The very fine fibers trap an extremely high amount of air and the patented SR (Special Reduction) process allows us to fit up to four thicknesses of insulation per weight category. The SR process is unique in that it allows a variance in the thickness of a chosen insulation weight, without a proportional loss in thermal value. Basically, it’s thinner, but warmer, than your traditional outerwear insulation and always performs at the top of its game. In addition to the Classic Thermore Insulation, we are also bringing in the Thermore Thermal Booster Insulation. This is smart insulation that is engineered to offer consistent warmth under normal conditions. As temperatures start falling, the product offers a thermal “boost” in performance to maintain comfort. Offers increased insulating value in colder conditions to help the user stay in the comfort zone. Independent test labs prove that Thermore Thermal Booster is 20% warmer at lower temperatures. As temperatures increase again, the insulation returns to comfort zone, ensuring the wearer feels consistently adapted to any weather fluctuation. Of course, when you’ve been out hiking for hours in the snow, another key feature you’re looking for in your outerwear is how it will help you dispense extra warmth, and fast. Bonfire’s Strata Flow venting system does just that. Made up of strategically-positioned cross-body vents, it allows you to have the maximum air flow control, keeping you cool when exerting high levels of effort. It’s easy to use and works while sitting, hiking and riding. We also include Collar Vents to compliment the Strata Flow Venting System. A lot of heat builds up around the neck and head. These Collar Vents offer heat-release ventilation around the neck for the ultimate in temperature regulation. Another new feature in the Bonfire line this season is the Phantom Hand Gaiter. This is a hidden hand gaiter in the cuff of the jacket that gives the wearer the option to use or forego the gaiter without sacrificing performance with either option. When you want it, you slip your hand through the retractable loops that engages the gaiter, when you don’t- it sits comfortably around your wrist as if a gaiter wasn’t even there. Of course, all of this is still backed up by Bonfire’s Lifetime Warranty. Our products are designed to ride forever, and we proudly offer a Lifetime Warranty against manufacturing defects on products when purchased new from an authorized Bonfire dealer. Bonfire will repair or replace the defective product with an existing comparable model at our discretion. We take pride in what we do. Any chance we get to address any manufacturer errors is a chance we see to correct them, and an opportunity to continue to make a better product for riders around the world. As always, we stay away from fleeting trends that don’t stand the test of time. Bonfire creates outerwear that lasts season after season. Bonfire Outerwear is committed to those who ride, getting the most out of every season. Tufftech and Transition 2-way Stretch Materials. Bonfire brings performance stretch fabrics to the 3-in-1 category, highlighting our 285 commitment to mountain performance all season long. Truly for all conditions, 2-way stretch outerwear fabrics and stretch performance fleece liners combine to provide the ultimate in versatility and performance. It’s what underneath that counts. Our design flair puts some fun into this wearable collection.